While walking around my new neighborhood, Greenwich Village, I spotted a place I had to check out. 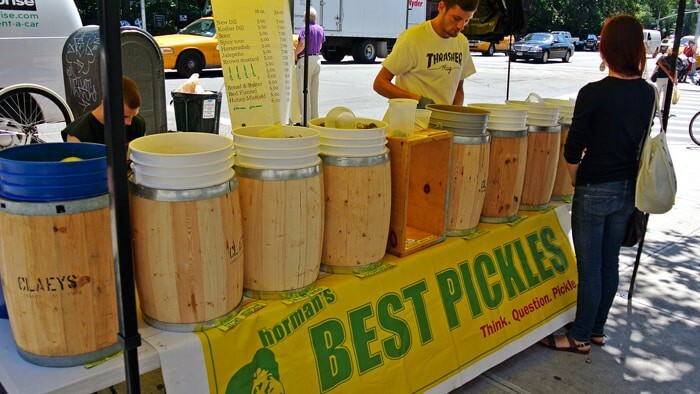 Right at the corner of 6th Ave and Carmine St. next to the farmer’s market stand is a big, bright yellow stall selling pickles called Horman’s Best Pickles. I’m a pickle lover, that’s for sure. But I am also very particular about how they need to be in order to enjoy them. For me, they can’t be soggy and they can’t be sweet. Thin, floppy bread-and-butter pickles just don’t do it for me. I had to stop by to sample the goods to see if they live up to my standards. They have many varieties of pickles at the stall and the workers are more than happy to allow you to sample the different flavors. After browsing the selection, two in particular drew my attention: the Spicy Sour Pickles and Brown Mustard Pickles. I sampled both and enjoyed each of their unique flavor profiles. The Spicy Sour brine was definitely sour and a packs a bold, spicy punch that I found slightly overwhelming. However, I couldn’t help but love every aspect of the Brown Mustard pickles. 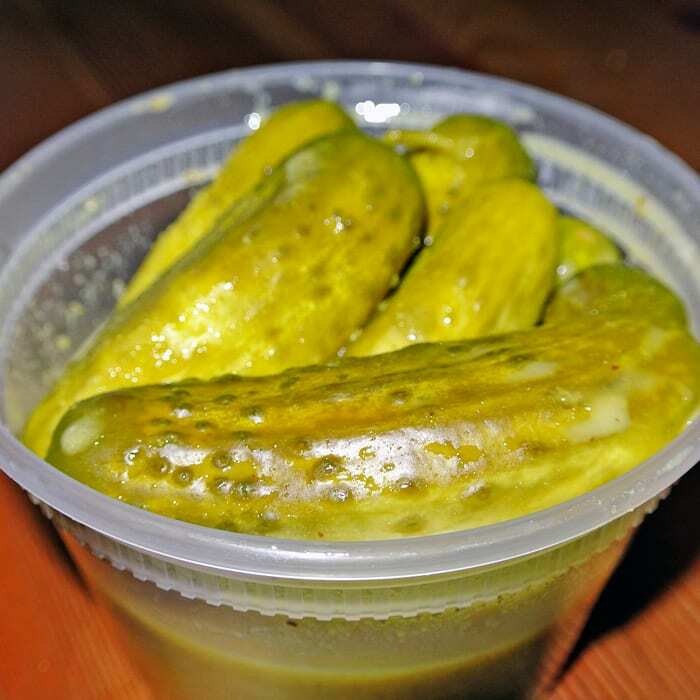 It became all too clear that I’d have no trouble crushing the entire pint of these pickles in one sitting. The brine was semi-opaque yellow with brown speckles. It packed a nice punch of sourness like the previous variety, but is rounded out by the sharp, semi-spicy brown mustard flavor. The pickles were very fresh and crisp and satisfied my textural requirements. 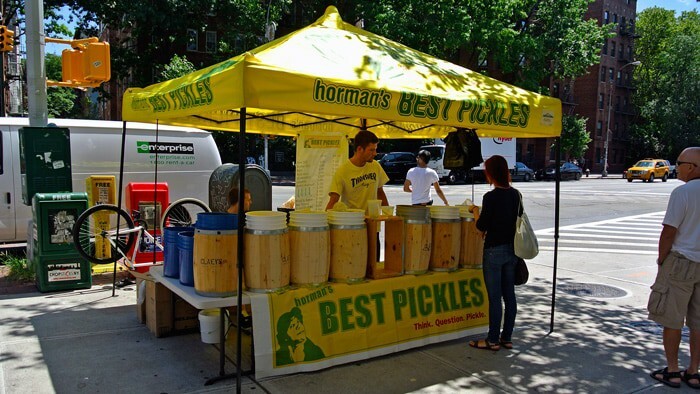 If you come across Horman’s Best Pickles make sure to stop by and get a sample. I’m sure there’s a style that’ll appeal to you and at only $5 for a pint or $7 for a quart container, they’re hard to resist. Got another pickle place you like better? Let me know in the comments below.